CB and I saw the Roundabout Theater Company production of Waiting for Godot with Nathan Lane, Bill Irwin and John Goodman. Goodman shaved his head! He’s gotten so massive that he looks like a Bond villain. And nobody can navigate a stage like Nathan Lane. His movements are fluid and graceful. We loved it, although some audience members didn’t return after the intermission. I understand why they would bail out. Samuel Beckett is about as esoteric as Broadway gets and he’s definitely an acquired taste, so if you’ve wandered in off the street and didn’t know what you were getting yourself into, you might be more inclined to walk out. 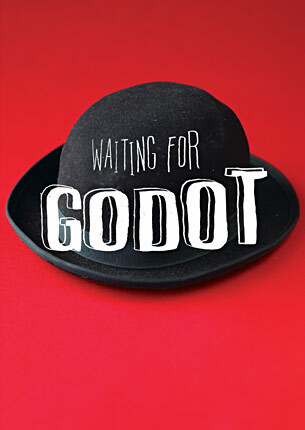 The first time I saw a production of Godot was many years ago in a dingy Bowery theater. I was prepared for an evening of pretentious babble and nonsense but it’s actually a surprisingly funny play. The absurdity of two idiots waiting for someone who is never coming has more comic potential than you would think. It’s worth the effort to hang on to the stream of dialog as it’s flying by (and, yes, it can be an effort at times). You have to let go of the notion that there’s a traditional linear plot with a beginning, middle and end. As we were leaving the theater, I overheard someone say, “Well, I have no idea what that was about.” It’s not about anything. (Well, to me, anyway. The show is probably fraught with metaphor but that stuff always gets by me. You can’t be subtle with me. It won’t work.) If it’s about anything at all, it seems to me it’s about the language and the acting. A story? Not so much. The last 30 seconds might have been the best part of the show. There was a gloriously staged fade-out. Estragon (Lane) and Vladimir (Irwin) wait under the tree looking slightly upward. The lights begin to slowly, slowly dim. The shadows thicken, nothing is said, and the silence is heavy. It was a masterwork of stage design and lighting. Beautiful. Someone did us a solid favor. We were sitting way the hell in the back of the balcony and during the intermission a man walked up to us, asked if we wanted to sit in the orchestra section and handed us his two ticket stubs. He didn’t like the show and instead of just leaving the theater, he walked back to the worst seats in the house and upgraded us. They were $116 seats. What a pal! Now see that act of kindness reet? That’s the sort of thing that would happen here in Glesga.People with money remember what it was once like to have limited funds.The feel good factor it generates is amazingly good for the soul.Good for you pal. Jimmy: It’s enough to restore your faith in the human race, isn’t it? Daisy: Really? A master thespian like yourself never saw Godot? Have you read it? That guy was cool. More people should do that. “The absurdity of two idiots waiting for someone who is never coming has more comic potential than you would think” Quite right. Of course, the absurdity of just one idiot doing the same thing is essentially the “blind date” plot so loved by writers of sitcoms. Jo: Welcome back from your trip. Thank you for the kind words and the Times article. ‘Tis the season of Godot. We’ve got Gandalf and Captain Picard doing it over here in the next month or so.I love the play and am glad the Roundabout did it up right.